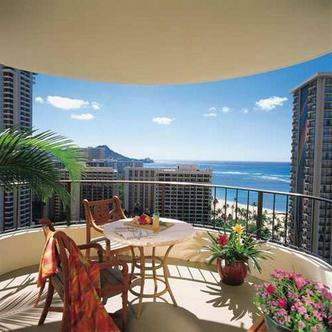 Rich in Hawaiian culture and local attractions, Honolulu is a world-class destination on the Island of Oahu. Exquisitely located on Waikiki Beach against a backdrop of breathtaking natural wonders, Hilton Hawaiian Village Beach Resort & Spa offers a 22-acre paradise of exotic plants and flowers, shimmering swimming pools, and whispering waterfalls. When staying at the Hilton Grand Vacations Club at Hilton Hawaiian Village, you'll have access to the Village's spectacular amenities, including recreation facilities, restaurants, diverse entertainment and first-class shopping. Just beyond the Village, scuba diving, snorkeling and Atlantis Submarines offer unsurpassed views of a vibrant undersea world. Nearby the hotel, championship golf and a variety of cultural treasures await your discovery.Our hotel is conveniently located three miles from downtown, 20 minutes from Honolulu International Airport, less than a 10 minute walk from the Hawaii Convention Center and five minutes from the heart of Waikiki.Travel should take you places.